Absolutely love the colors in this collection!! \nit would be my dream come true(and Christmas wish) to be a part of your PR list.\nAbosolutely love this brand!! Yuvthi Harrielall has rated on date 12/18/18 as Holiday Pyramid CollectionAbsolutely love the colors in this collection!! \nit would be my dream come true(and Christmas wish) to be a part of your PR list.\nAbosolutely love this brand!! with 5star. Absolutely love the colors in this collection!! nit would be my dream come true(and Christmas wish) to be a part of your PR list.nAbosolutely love this brand!! The Anastasia Beverly Hills Holiday Pyramid Collection comes complete with our assortment of 8 shades of ultra-reflective metallic cosmetic glitters for face, body and hair. 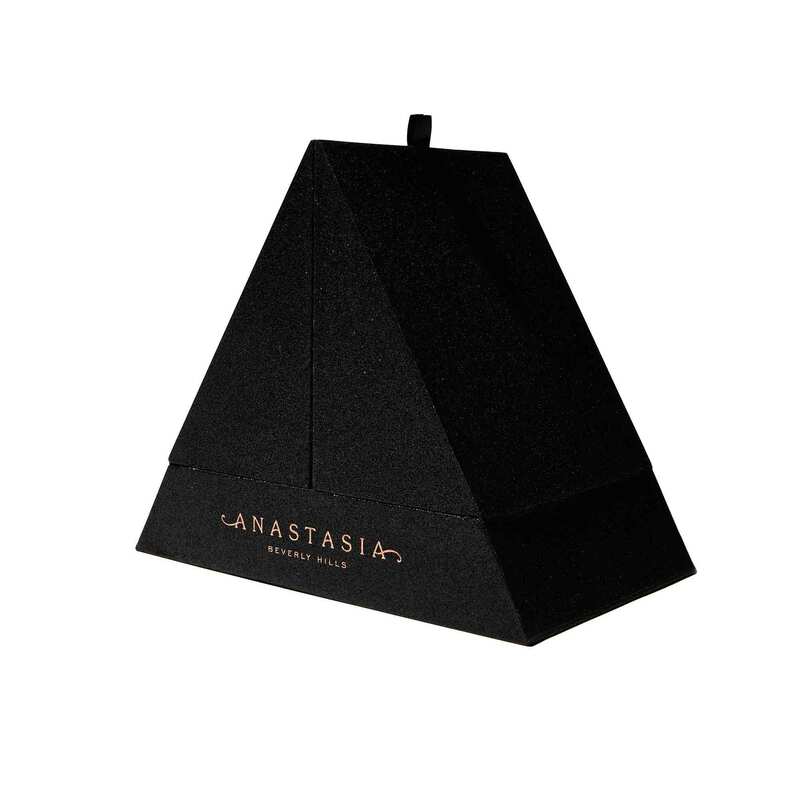 The Pyramid also comes with a Mini Metallic Liquid Lipstick Set of 3 deluxe limited-edition shades of Liquid Lipstick that feature Anastasia Beverly Hills’ full-pigment formula with a metallic finish. 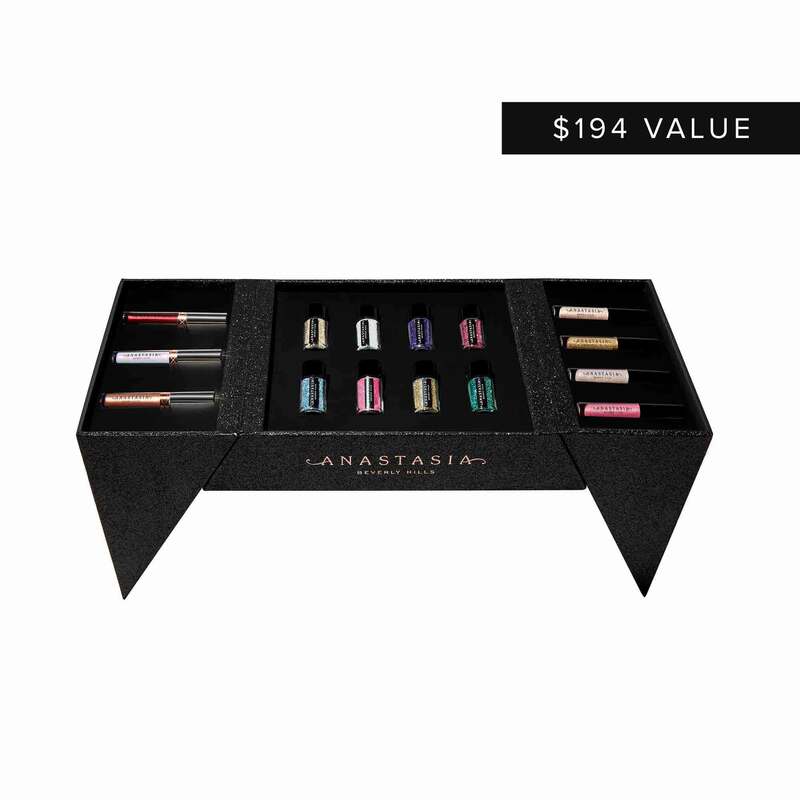 We’ve also included a Mini Lip Gloss Set which includes 4 deluxe limited-edition shades of Lip Gloss that feature Anastasia Beverly Hills’ full-sparkle formula with a multidimensional reflect. Fill in the remainder of the top lip. Outline the bottom lip and fill. Begin by using the edge of the custom paddle-shaped applicator to line the Cupid’s bow with precision. Fill in the remainder of the top lip using the flat side of the applicator.